Get ready to log in! 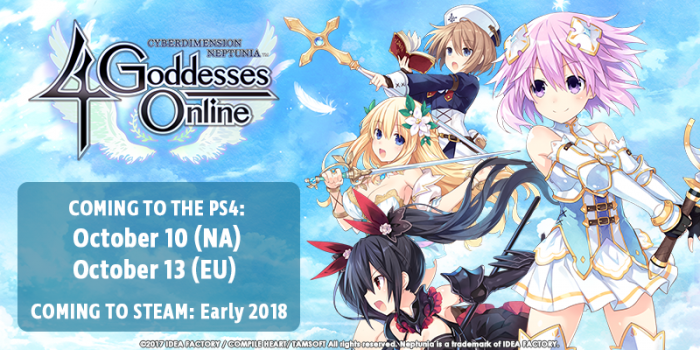 Cyberdimension Neptunia: 4 Goddesses Online will release on the PlayStation®4 system October 10 (NA) and October 13 (EU) in both physical and digital formats. To ensure a smooth gameplay experience, the Steam version of the game has been rescheduled for an early 2018 launch.